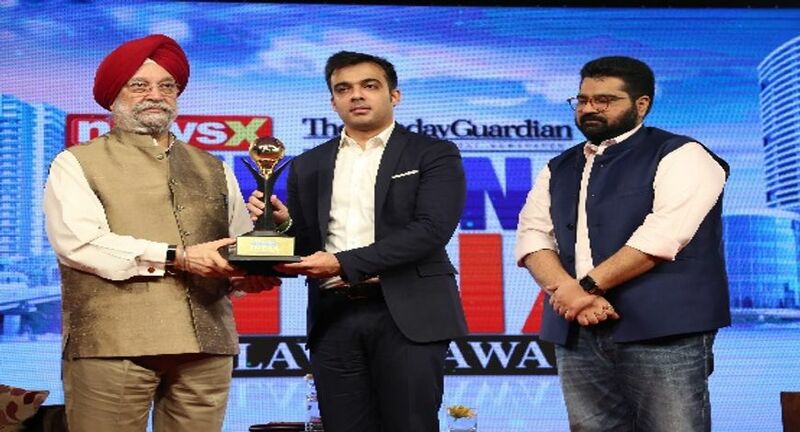 In a step to honor and recognize industry leaders for their newsworthy contributions, iTVNetwork, India’s leading news & infotainment network organized the NewsX Building India Conclave and Awards on October 23, 2018 at Hotel Hyatt Regency, New Delhi. During the NewsX- The Sunday Guardian Building India Awards, the inaugural session on Smart, Safe and Swacch India was concluded by Amb. Hardeep Puri, MoS (IC) Housing & Urban Affairs followed by NewsX Building India awards and later there were panel discussion on various topics including: “Capital Facelift: Delhi’s Renewing Reality Space” led by Yogesh Sharma, E.D, NBCC, Navin Raheja, CMD, Raheja Developers, Munish Upadhyay, Real Estate Head, SNG & Partners, Amit Wadhvani, M.D, Sai Estate Consultants; “Railways 2022: Reimagining Urban Transport” with Ashwani Lohani, Chairman, Indian Railway Board; “Smart Cities” led by Tarun Kapoor, Vice Chairman, DDA, KK Khandelwal, RERA Haryana, Rajeev Bairathi, Executive Director, Knight Frank India, Yash Miglani, M.D, Migsun Group and Anil Swaroop, Former Coal Secretary. NewsX Building India awards were conferred to – Finest Affordable Housing Projects presented to Signature Global; Best Affordable Real Estate Group presented to Gaurs Group; Salient Affordable Housing Brand presented to Migsun; Ultra-Premium Luxury Projects in Gurgaon presented to Central Park; Innovative Luxury project in Delhi presented to Unity Group; Upcoming Real Estate Brand in Noida & Greater Noida presented to ACE Group; Best on-time delivery record presented to Ajnara India Ltd; Finest Commercial Project in Noida presented to Spectrum; Prominent Builder of South India presented to Shilpa Group; Best Urban Housing Developer presented to Omaxe Group; Development in Green Projects presented to Dkrrish Builders; Building India Icon award presented to Anil Swaroop, IAS; Cutting Edge in Real Estate Consultancy presented to Amit Wadhvani, Sai Estate Consultants and Excellence in Architectural Design presented to Daksh Bhardwaj.